As Humpty Dumpty, from Lewis Carroll’s Through the Looking Glass and What Alice Found There, famously stated, “When I use a word, it means just what I choose it to mean. Neither more nor less.” Humpty Dumpty was sure that he could force any meaning he could possibly conceive of onto the words he used. In the true spirit of Humpty Dumpty’s “forced meaning” doctrine, United States Citizenship and Immigration Services (USCIS) has recently issued a new “bridging” policy, which puts applicants seeking changes of status to F-1 in a completely new and inexplicable position. The new policy essentially forces F-1 applicants to also file multiple applications for B-2 Visitor status “bridging” the time from filing the F-1 application to its approval. This requirement, to fill in what are in fact “artificial” gaps in status, creates unnecessary roadblocks for applicants and improperly changes the meaning of immigration law concepts. Applications for changes of nonimmigrant status are governed by 8 CFR §§ 248.1(a) & (b). They are filed using Form I-539, Application to Extend/Change Nonimmigrant Status. These sections generally provide that, applicants admitted in valid nonimmigrant status who maintain that status until the requested start date, and who file a timely application, are eligible for a change to another nonimmigrant status. Section (c) of this Part allows most applicants to start attending school before (and/or during) the pendency of the application for change to student status. See, 8 CFR § 248.1(c)(1).The only nonimmigrant categories prohibited from attending school until the application is approved are B-1 and B-2 visitors for business and pleasure. See, 8 CFR § 248.1(c)(3). Based on this legal framework, an application for change of status to F-1 is properly filed and could be approved if the applicant holds valid nonimmigrant status as of the date of filing, and the gap between the end of the current status and the requested F-1 start date, as indicated by Form I-20 issued by the school, is no more than 30 days. Historically, this was all the applicant had to do to properly file an approvable application for change of status to F-1. Once a student files a Form I-539 for F-1, if the application remains unadjudicated within 60 days from the requested start date in SEVIS, the system will automatically cancel it. In order to prevent that from happening, the Designated School Official (DSO) has to manually defer the admission date to a later date within the same term (if the student is able to start his or her program of study while waiting for a decision) or until the start of the next term (if the student’s current or former status does not allow school attendance until USCIS approves the application – e.g., B-2 status). As USCIS currently takes up to a year to issue a decision, the program start date may be deferred multiple times in SEVIS, while the actual start date remains the same as initially requested. On April 5, 2017, USCIS issued a new policy requiring that the applicants in B-2 status extend their status to cover any “gap” between the expiration of their previous B-2 status and the program start date. Inexplicably, the program “start date” USCIS referred to in this rule was not the one initially requested, but the one artificially deferred by the DSO to prevent the SEVIS record from being terminated during a long adjudication process by USCIS. On February 6, 2018, USCIS revised its instructions to include applications filed by applicants in all other initial nonimmigrant statuses. Specifically, USCIS stated that applicants “must find a way to obtain status all the way up to the date that is 30 days before your [deferred] program start date (‘bridge the gap’).” In most, although not all, cases the only possible “bridge” the applicant may be able to “find” is an application to change his or her initial status to that of B-2. By law, an I-539 filed requesting B-2 status can only request a period of six months. Given long adjudications of F-1 applications, the applicant may be forced to file multiple B-2 extensions in many cases. Due to the novel and relatively surreptitious fashion in which this new policy was initially introduced by USCIS, the agency began issuing Requests for Evidence on pending requests for F-1 status to require compliance as a predicate to approval. USCIS would re-state the policy for the applicant and then instruct the applicant to file multiple B-2 applications to create a “bridge” from the status held by the applicant on filing the I-539 to a future date. 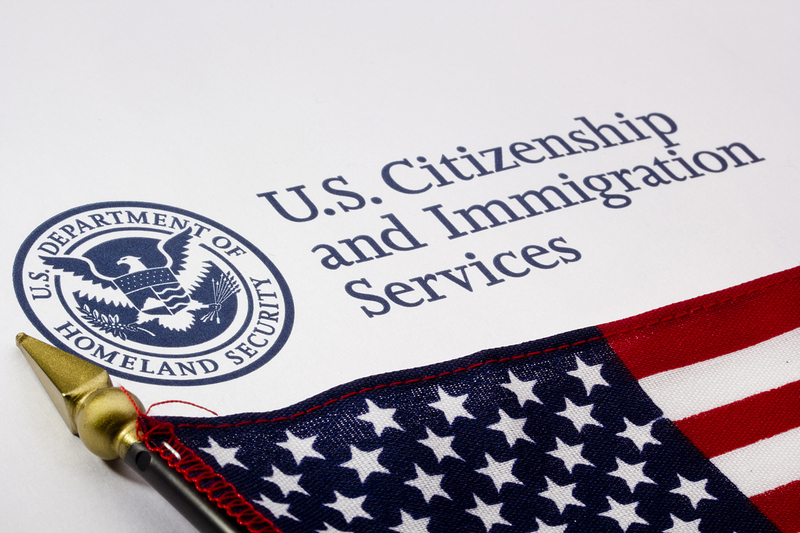 Subsequently, USCIS approved the B-2 requests and then approved the F-1 request. Anna Stepanova is an Assistant Managing Attorney with the Murthy Law Firm in Baltimore. She concentrates her practice in employment immigration law.